Take your workout outside in the Explorer Cowl Hood. 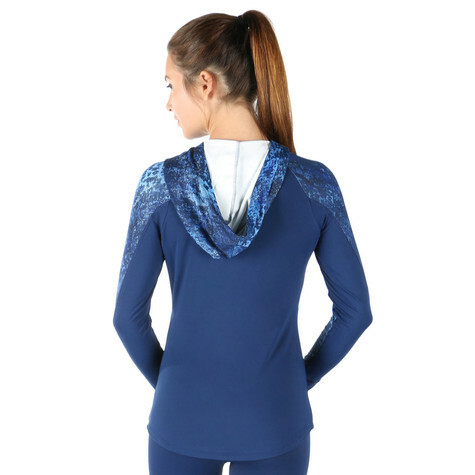 It is made with Chill-Tek fabric to keep the warm in and wick the sweat out. Thumbholes help to keep the sleeves down as you move and the dolphin hem makes for a flattering cut.